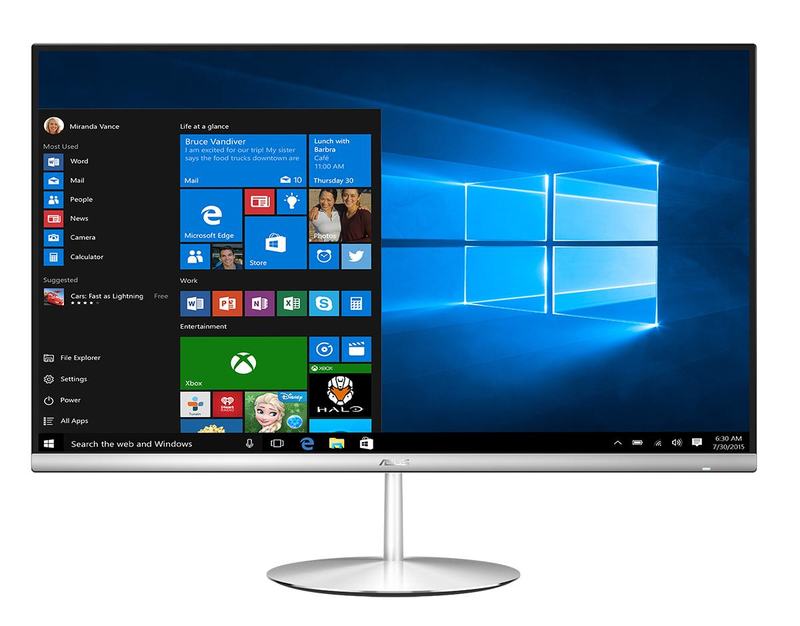 ASUS Zen AiO ZN242 is a premium 23.8-inch all-in- one PC that's unlike any other. 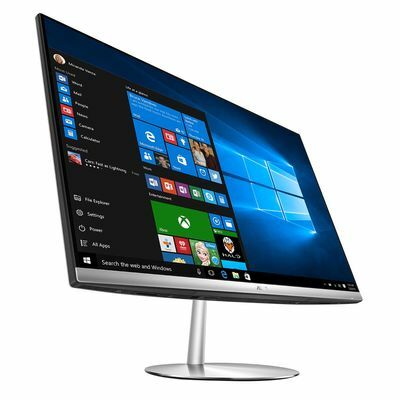 From its frameless NanoEdge display to its impossibly slender solid-metal stand, Zen AiO ZN242 is a masterpiece of design that pushes the boundaries of what's possible to give you the ultimate all-in- one computing experience. Built around the latest 8th Generation Intel® Core™ processors and using only the fastest, most powerful components, Zen AiO ZN242 is a vision of the future that you can enjoy today. The beautiful 23.8-inch frameless NanoEdge display on ASUS Zen AiO ZN242 features a 2mm-thin bezel that gives you the biggest screen in the smallest possible space: In fact, its world-beating 90% screen-to-body ratio means that it's similar in size to some 22-inch models! This amazing display delivers an unbounded, totally immersive visual experience, in an incredibly compact package. 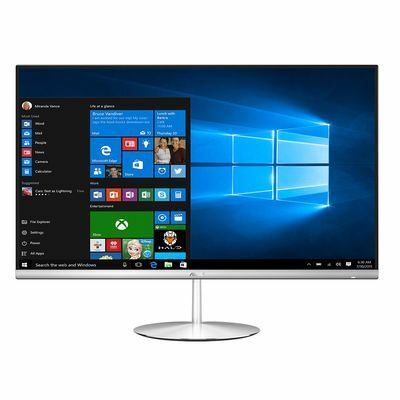 With its crisp Full HD resolution, 178° wide-view technology and wide 100% sRGB color gamut, the NanoEdge display on ASUS Zen AiO ZN242 is a real treat for your eyes, and its responsive 10-point multitouch screen empowers your creativity. ASUS Splendid visual-optimization technology ensures that whatever kind of content you're looking at, you'll see it in the best possible quality. Splendid features four display modes, which you can access with a single click. Normal mode is ideal for daily tasks; Vivid mode optimizes contrast to deliver stunning photos and video; Eye Care mode reduces blue light levelsto ease eye strain; and Manual mode lets you make personalized color adjustments. 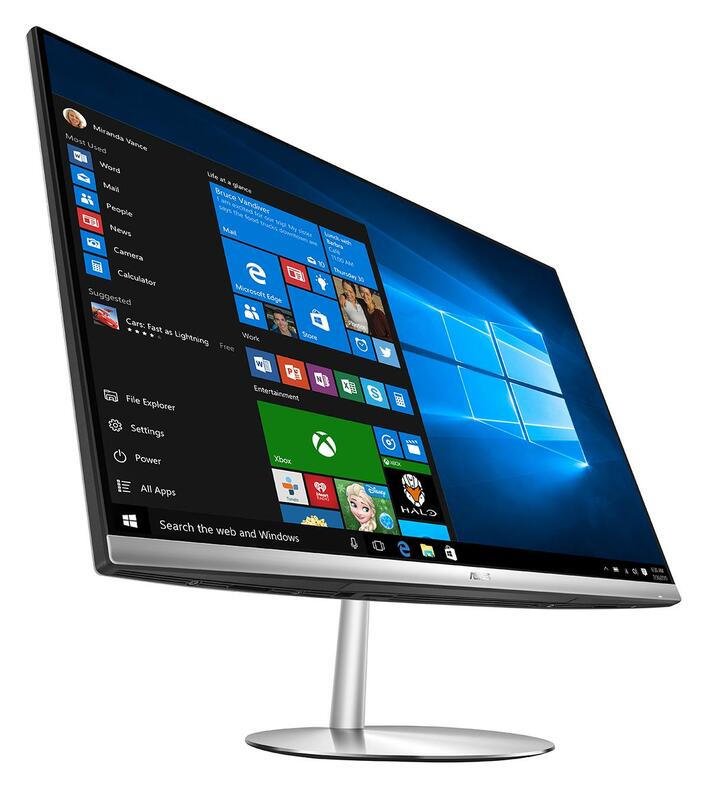 Zen AiO ZN242 also includes exclusive ASUS Tru2Life Video technology. Tru2Life Video software intelligently enhances every pixel in every video frame, so videos look more realistic and up to 150% sharper. 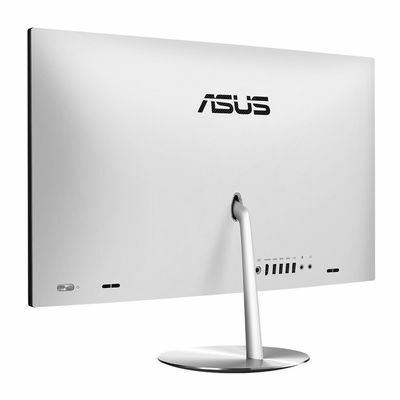 The Zen-inspired design of ASUS Zen AiO ZN242 has beautifully clean and uncluttered lines that bring a touch of simple elegance to any environment. Its solid-metal stand is slim and unobtrusive, with a perfectly balanced hinge for easy tilt adjustment. The metal-like rear cover features an ingenious ventilation system incorporated in the ASUS logo, keeping Zen AiO ZN242 cool without the need for unsightly grilles. And to add subtle brilliance, the stand base and power button feature the iconic ASUS spun-metal finish, with its lustrous pattern of concentric circles. 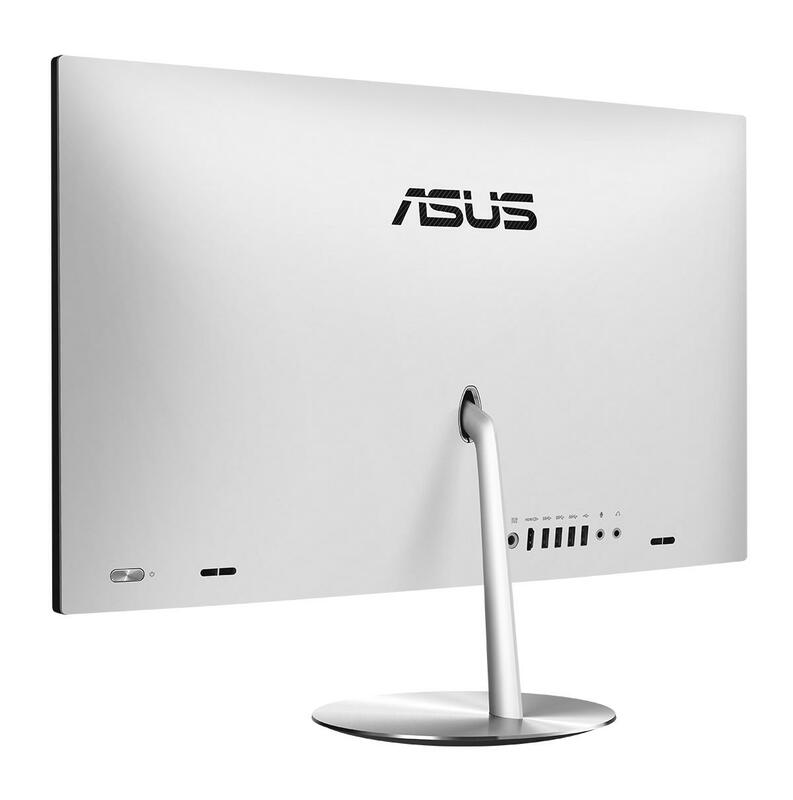 ASUS Zen AiO ZN242 is packed with clever and practical details, like the pop-up camera on the top of the display. For privacy, the camera is neatly hidden when not in use, but with just a touch it's ready for action. The camera incorporates an infrared sensor, so you can use it with Windows Hello for convenient, password-free login using face-recognition technology. ASUS Zen AiO ZN242 isn't just about stunning looks: It delivers seriously powerful performance, too. Featuring up to the latest Intel® Core™ 8750H Hexa-core processor with 32GB of DDR4-2400 memory, a 512GB SSD and gaming-grade NVIDIA® GeForce® GTX 1050 graphics, Zen AiO ZN242 gives you the power of a traditional desktop PC for productivity, gaming or entertainment — all in a sleek, compact and elegant package. The awesome Intel® Core™ 8750H Hexa-core processor delivers more than 2X the processing power of the low-voltage version. It can execute eight threads simultaneously, which simply means that ASUS Zen AiO ZN242 is a master of multitasking and able to handle anything you want it to do. With its powerful 3.8GHz Turbo Boost technology, processor-intensive tasks such as video rendering, encoding and streaming are a breeze for Zen AiO ZN242. With the latest gaming-grade NVIDIA® GeForce® GTX 1050 graphics, ASUS Zen AiO ZN242 houses unbelievable graphic processing power inside its slim and elegant profile. It can handle the most graphics-intensive dutie without missing a beat, making it a real graphics powerhouse that's equally at home with gaming or professional-grade video and image editing. With its two bass-reflex stereo speakers and exclusive ASUS SonicMaster Premium audio technology, ASUS Zen AiO delivers 6W of incredibly rich, crystal-clear sound. A smart amplifier intelligently monitors and adjusts the speaker output to give you the maximum possible volume with zero distortion, so you can enjoy truly immersive entertainment. יציאות וחיבורים 1x USB 3.1 Gen 2 "1x Headphone 1x Microphone 1x HDMI out 1x Power Input 1x LAN 1x Kensington lock slot 1x 2-in-1 card reader 1x USB2.0 3x USB 3.1 Gen 2"